A crime drama, a story of redemption, a story of brother against brother, “Luke Cage” weaves many plots seamlessly into one season. Set in Harlem, rather than Hell’s Kitchen, the series involves contemporary political issues while still offering a focus onto the Marvels series’ overarching issue: superpowered people among fictional New Yorkers. Race is a crucial part of the series, as the titular character is “bulletproof and unafraid” in a time where many young men of color don’t have that luxury. The series is filled with imagery and scenes parallel to events outside of the fictional universe, done in a manner that even skeptics of current racial tensions would find palatable. Luke Cage (Mike Colter) walks the fine line between vigilante and hero. Marvel’s Netflix series forte is vigilante protagonists, trying to reclaim his or her neighborhood while fighting against organizations larger than themselves. 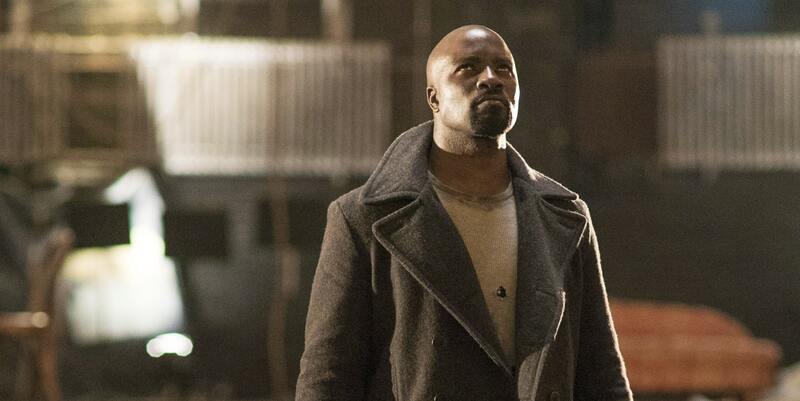 Where Marvel’s “Luke Cage” differs is through the type of heroism expressed by Cage: He is the defender rather than a reluctant hero like ex-flame Jessica Jones, or guilt-ridden vigilante like Daredevil. He literally takes bullets for a neighborhood that would rather him avoid confronting the corrupt businessmen secretly running the streets. Those who make key decisions about Harlem’s future under the guise of renewal and regrowth are the villains in Cage’s Harlem. Cage cripples the grip that Cornell “Cottonmouth” Stokes (Mahershala Ali), a premier businessman and crime lord, and his cousin Mariah Dillard (Alfre Woodard), a councilwoman using her projects to launder his money, have on Harlem. They believe their grip to be their birthright because of their relation to crime lord Mama Mabel Stokes. ‘Cottonmouth,’ Mariah and Luke battle for the hearts and minds of Harlem throughout the season. “Luke Cage’s” multidimensional villains occasionally have a tortured past, but interestingly all had predetermined futures. Luke’s past isn’t any less complicated, slowly unfolding throughout the series and becoming clearer as to why he helps a neighborhood that is selectively deaf and blind. How Carl Lucas became Luke Cage is a marvel: thrown in prison while innocent, forced to fight, tested on and reborn. Some might arise from the ashes of their former life hardened by the misfortunes they’ve experienced and bent on revenge against those that put them there; Cage arose an honorable man, the sort that doesn’t kill the people shooting at him. Cage faces attacks on multiple fronts: ‘Cottonmouth’ focuses on killing him while Mariah and the men pulling her strings focus on killing Cage’s reputation. Under their advice she uses public fear over his super-abilities to set him up for crimes he didn’t commit, turning the police against him to create conflict between Cage and Harlem itself. While her motivation should be considered, the question she poses is extremely relevant: Is Luke Cage an uncontrollable vigilante or is he Harlem’s hero?